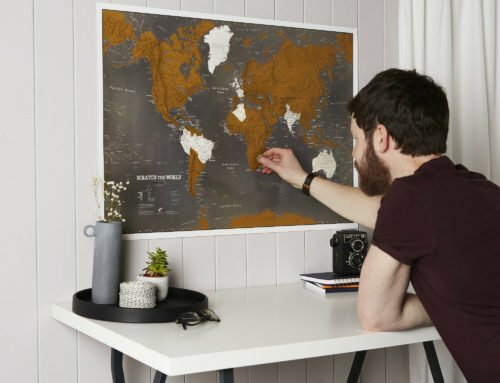 Making your own map home decor – Carto Hearts! Think your house needs a bit of vintage inspiration? At Maps International, we’re certainly not short of a few old maps lying about the place. That’s why we thought we would put them to good use, and show you how we did it!If you’re relatively new to the ‘do it yourself’ process, it’s good to start simple. And this is very very simple! 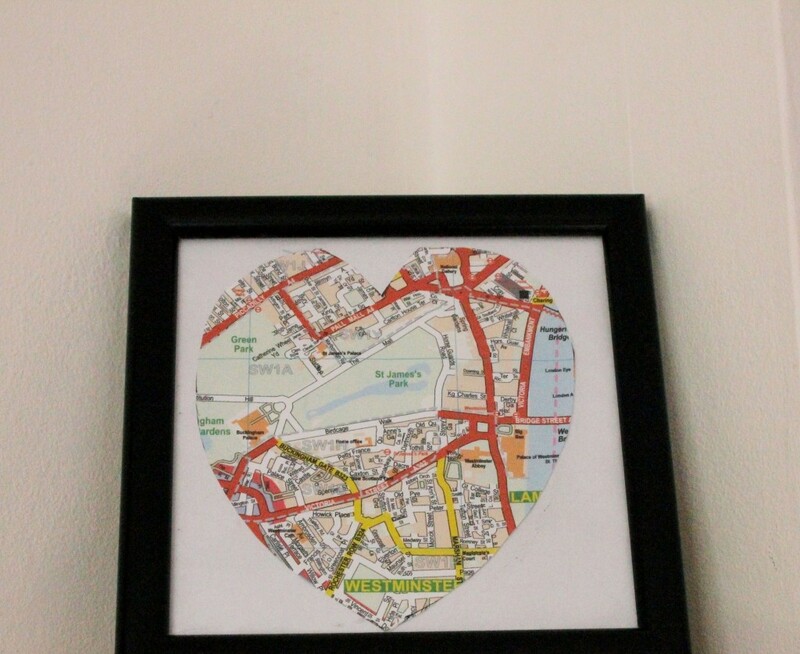 In light of the current Olympics, we decided to show our love for London by making our own map art, in the shape of a cartographic heart. 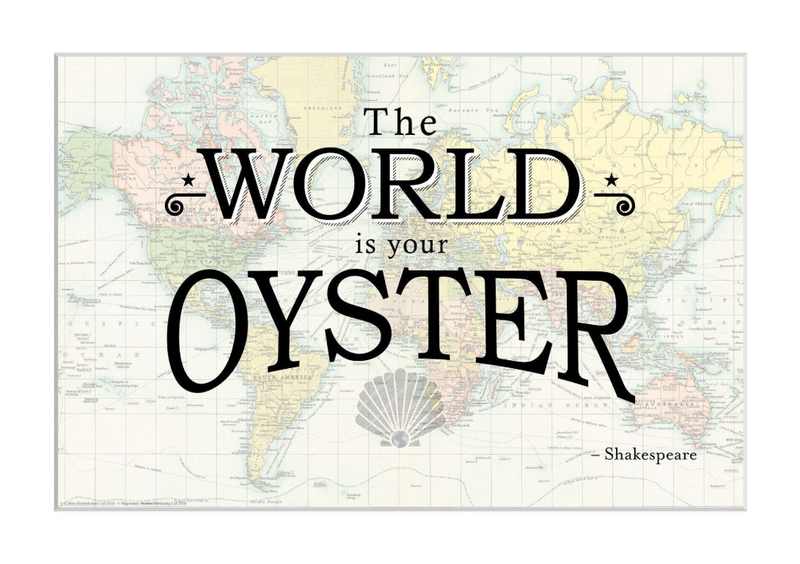 Of course, you could make a heart of anywhere in the world that means something to you,whether it’s where youtraveledduring your gap year, where you got married, or just somewhere that inspires your wanderlust! 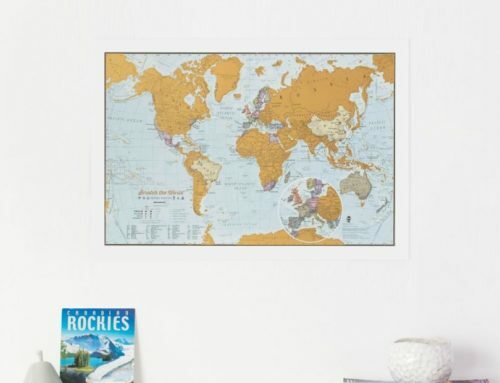 It’s simple, all you need is some scissors and glue, a frame, some white paper, and a disusedmap! Difficulty rating: 1/10 – So easy you could even get the kids to do it too! 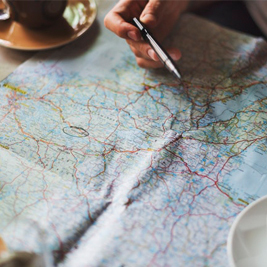 Pick somewhere that means something to you on the map. We’ve picked London in celebration of the current games. 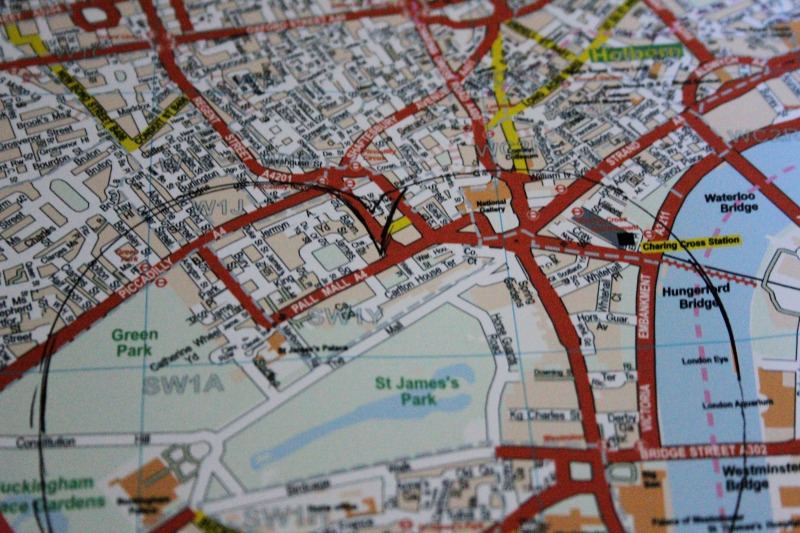 Place this part of the map over the frame and mark the four corners of the frame lightly onto the map. This will give you a rough idea of how big your heart should be. Use a pen or pencil to mark on the heart shape. This can be tricky if you’ve got shaky fingers. You might want to use a compass or some sort of heart stencil to get an accurate shape (we used a heart shaped mirror!). When you cut out the rough shape, cut around to refine your heart until it’s the perfect shape for the frame. Don’t worry if your heart is a bit rough around the edges, this will give it a lovely homemade effect that shows how personal it is to you. Get your piece of white paper. The paper should of course be able to fit inside your frame. Stick the heart shape centrally onto the white paper with some strong glue. 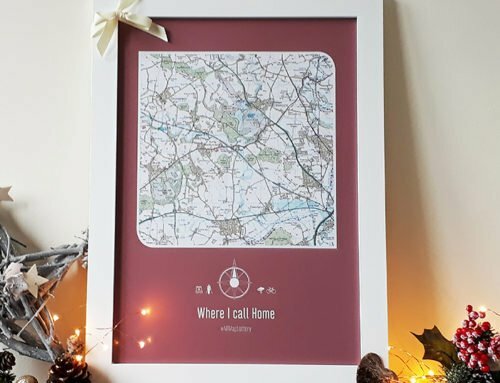 And now all you have to do is frame your beautiful carto heart! 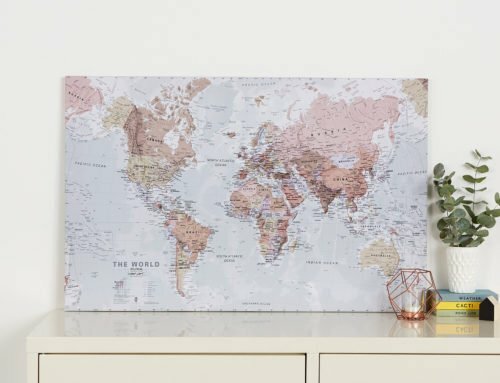 Put it in the Living Room to inspirecuriosityin your guests, or maybe even just as a fun addition to your office desk. 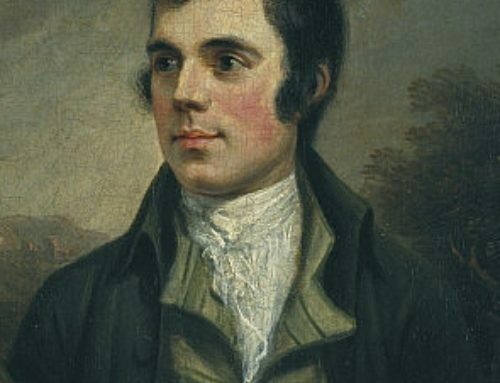 Top Tip: Glue a picture of the family or your partner inside the heart for a heartwarming personal touch, or make one for your other half for Valentine’s day. Here’s our finished product! What did yours turn out like? We’d love to see! 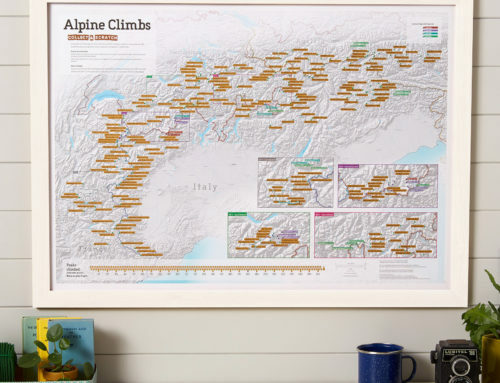 If you’d like more maps as home decor inspiration then visit our Get Creative Pinterest Board!